Dying for Chocolate: BROWNIE BAKED ALASKA: IT'S THE BOMBE! 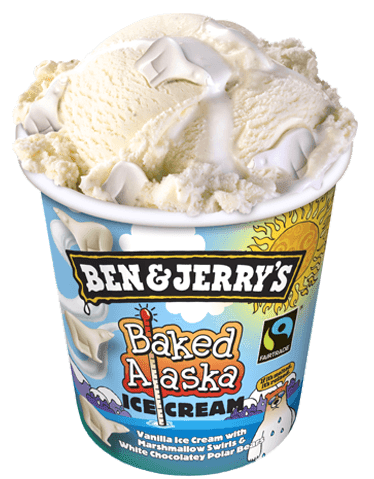 Today is Baked Alaska Day. This Retro dessert is making a major comeback, and I've seen it on the menus of several restaurants in San Francisco, New York, L.A. and Chicago. This dessert originated at New York City’s Delmonico’s restaurant to commemorate the United States’ purchase of Alaska in 1867. 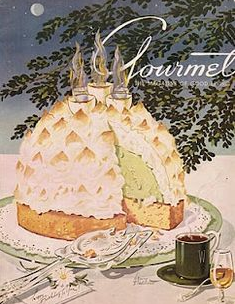 Baked Alaska is an ice-cream cake covered with an igloo of toasted meringue. It's a real show stopper! Following is an easy and delicious recipe from Betty Crocker. 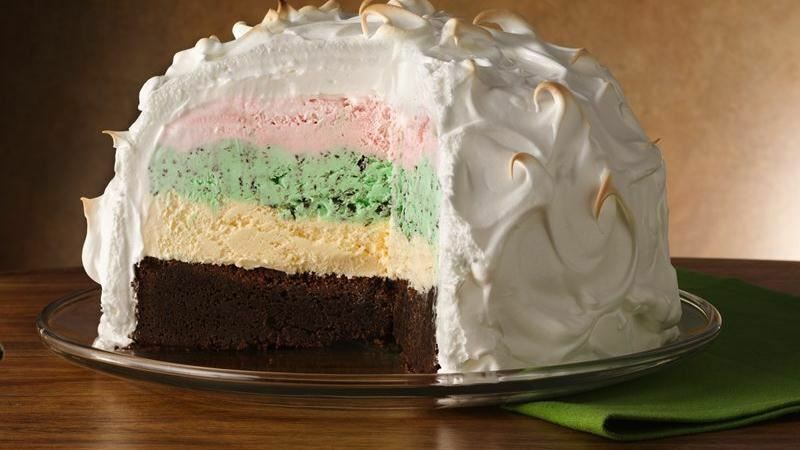 This version consists of an ice cream dome on a brownie base, topped with meringue. No time to bake? 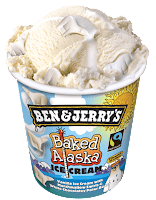 Pick up a pint of Ben & Jerry's Baked Alaska. Want to spend more time, don't miss Martha Stewart's Baked Alaska with Chocolate Cake and Chocolate Ice Cream. It's the Bombe! Line 3 (or 4) quart bowl (with 9 inch circumference) with plastic wrap. Fill base of bowl with peppermint ice cream; layer with mint chocolate chip ice cream, then finish with a layer of vanilla ice cream. Cover surface with plastic wrap and freeze until ice cream is very hard, at least 4 hours or up to 24 hours in advance. Heat oven to 350°F. Spray 9-inch round cake pan with cooking spray, line bottom of pan with parchment paper and spray parchment paper with nonstick cooking spray. In separate large bowl, whisk eggs, sugar, and vanilla until well combined. In another medium bowl, whisk flour, baking powder, and salt until combined. Add cooled chocolate mixture to eggs and whisk to combine. Add flour to chocolate mixture and whisk to combine. Pour into cake pan. Bake 50 minutes to 1 hour until toothpick inserted in center comes out clean. When brownie is completely cool, about 1 hour, turn brownie out onto large flat, ovenproof plate. Unmold ice cream dome on top of brownie layer. Place back in freezer. With electric mixer fitted with whisk attachment, whip egg whites and cream of tartar for 2 minutes on medium-high speed. Increase speed to high and add sugar in slow stream until stiff, glossy peaks form. Remove ice cream dome from freezer. Remove plastic wrap. Cover ice cream dome with meringue, covering completely, using back of spoon to make swirly peaks. Freeze for at least 3 hours or up to 2 days. Heat oven to 500°F. Bake for 2 minutes or until peaks start to turn a golden brown color.